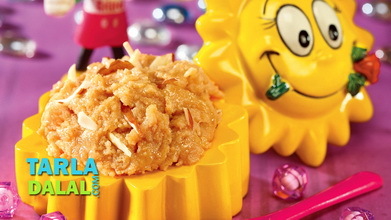 Who can resist a ladleful of sheera, even on a fasting day! Well, why not. 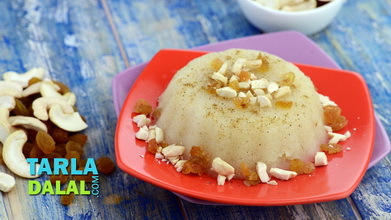 Here is a lip-smacking Singhada Sheera that is perfectly acceptable on fasting days as well. Roasting the water chestnut flour sufficiently, till it turns golden in colour, is very essential to bring out a rich aroma and do away with the raw smell of the flour. 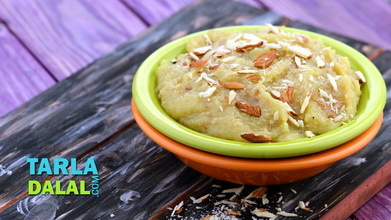 The use of ghee and the addition of cardamom powder give the sheera a very rich aroma, typical of most Indian sweets. Garnish generously with nuts, to add to the sumptuousness of this delightful dessert. 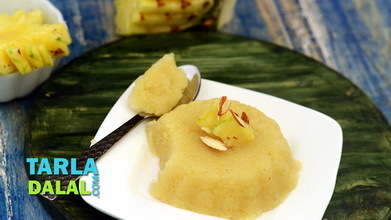 Heat the ghee in a broad non-stick pan, add the waterchestnut flour and cook on a slow flame for 4 minutes or till it turns light brown in colour, while stirring continuously. 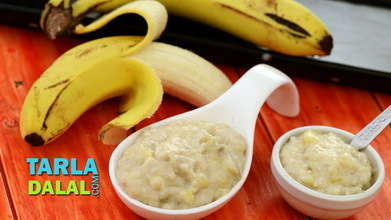 Add 2 cups of warm water, mix well and cook on a slow flame for another 4 minutes or till all the water has been absorbed, while stirring continuously. Add the sugar, mix well and cook on a slow flame for 4 more minutes, while stirring continuously. 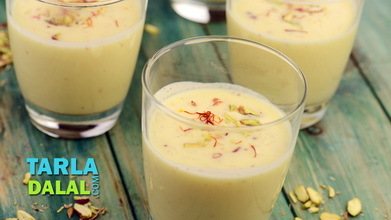 Switch off the flame, add the cardamom powder and mix well. 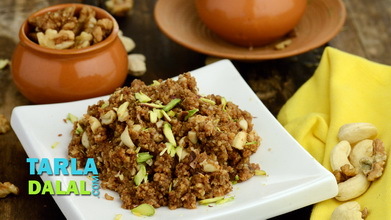 Serve hot garnished with almonds and pistachios.